US bank Morgan Stanley is reportedly in talks with the Attorney General of New York over the payment of about $500 million to settle claims for misleading investors with mortgage-backed securities issued before the financial crisis. A deal between the bank and New York’s top litigator, Eric Schneiderman, is likely to include some cash from Morgan Stanley as well as consumer relief compensation, the Wall Street Journal reports. Over a half the settlement will be provided as aid to struggling homeowners, though the form of consumer relief hasn’t yet become clear, according people familiar with the matter told the Wall Street Journal. 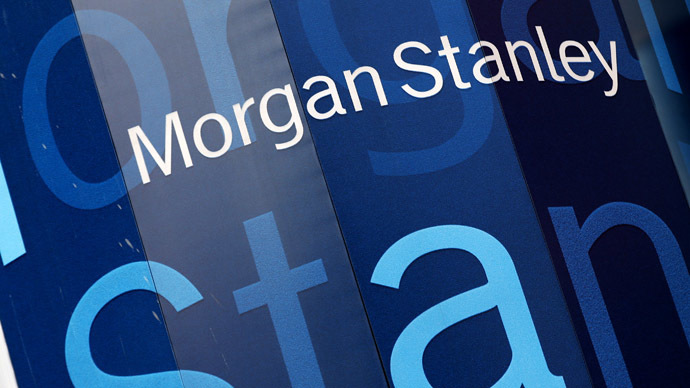 Morgan Stanley is expected to publish its financial reporting for the first quarter on Monday, in which it could clarify whether it will increase its legal reserves. Morgan Stanley hasn’t agreed final terms. The actual costs to the bank are expected to fall short of $500 million, because banks generally consider as expenses only a fraction of the value they agree to hand out in consumer relief. Morgan Stanley is at the bottom of a list of major US banks in terms of mortgage-related fines. It has never had a sprawling mortgage business unlike Bank of America and JPMorgan Chase that paid $73 billion and $26 billion respectively to settle claims, while the losses of Morgan Stanley were estimated only at $4.5 billion. In February 2015, the bank agreed to pay $2.6 billion to the Justice Department to resolve the federal government’s inquiry into those mortgage-bond practices avoiding a lawsuit. The entire payout was accounted for as a cash penalty, the Wall Street Journal reported. The bank was accused of selling risky mortgage-bonds on the eve of crisis in 2008 without properly informing customers about their risks. The sale of high-risk mortgage bonds by the largest US banks in the early 2000’s became one of the reasons for the collapse of the US multibillion dollar mortgage market in 2007-2008, which triggered the global financial crisis in 2008-2009.